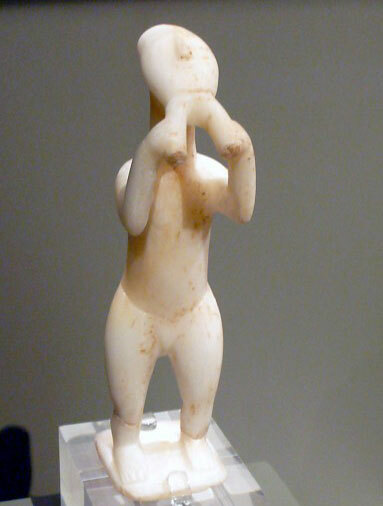 A marble figurine from the Cycladic islands, 2800-2300 BC, depicting a flute or avlos player. It is one of the earliest representations of a musician in sculpture from the Bronze Age Aegean. National Archaeological Museum, Athens.